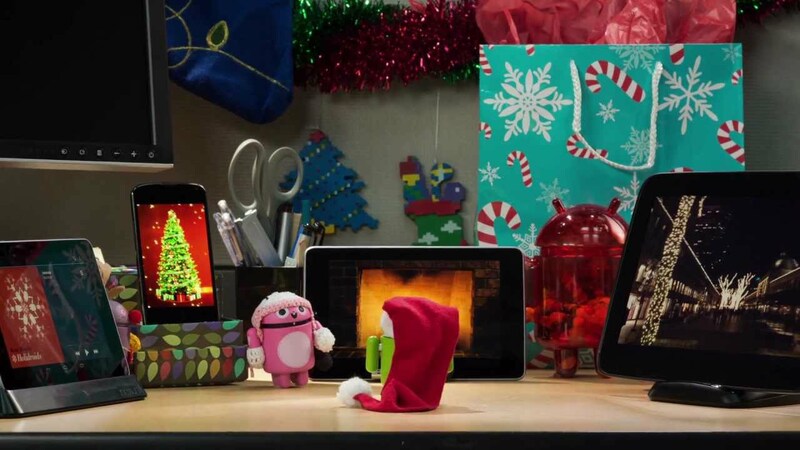 A few years ago in 2012, the Android team sent out its holiday greetings in the form of a stop animation video featuring a few Android mini collectibles. It’s cute and completely creepy all at the same time. In the video, the team also shows off a few of its latest innovations, such as casting things from your phone to a HDTV, the Nexus 7 tablet in its little dock, as well as the gorgeous Nexus 4 smartphone. It makes for a very merry techy Christmas video. Happy holidays and keep the change, you filthy animals (Home Alone reference).